Aldrich Capital Partners said Monday that it has made a $26 million investment in Paymerang LLC, a Richmond-area provider of electronic payment solutions for businesses. According to Aldrich, an investment firm based in Bethesda, Md., the money will buy out company investors and help Paymerang grow in the procure-to-pay space with new jobs, products, sales channels and operational infrastructure. Paymerang, located on Midlothian Turnpike in Chesterfield County, plans to expand operations in the Richmond area, adding more than 100 jobs during the next five years. Paymerang began opertion in 2010. Founder Steve Winston, along with company employees, developed a new way to help business automate supplier payments. With Paymerang’s system, clients can pay all vendors electronically with a single payment file. By handling the entire process — from secure vendor enrollment to payment processing, reconciliation and customer service — Paymerang says it can offer an efficiency that saves hundreds of hours of finance time, security to protect payments from fraud and financial rewards that turn accounts payable into a profit center. With manual, paper-laden processes increasingly falling by the wayside, it expects business to grow. “We are delighted to invest in an innovative company like Paymerang that is defining the future of business payments,” Mirza Baig, founding partner of Aldrich, said in a statement. 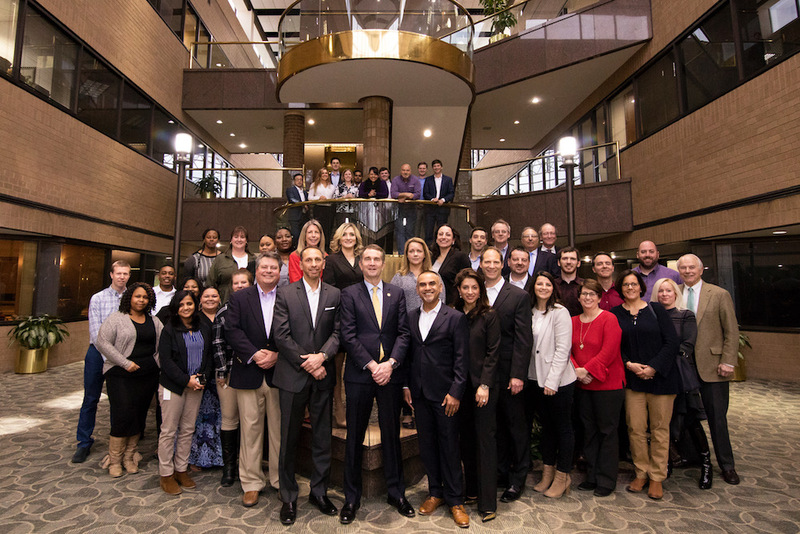 According to CB Insights & CrunchBase, data collection companies that track funding rounds, acquisitions and other business intelligence, Aldrich’s $26 million investment represents the single-largest investment in a financial technology company in Virginia. Currently, Paymerang serves clients around the country in education, health care, media, manufacturing and other industries. Paymerang says it processes more than $1.5 billion in payments annually to a network of over 60,000 suppliers from coast to coast, with 75 percent receiving electronic payments.